Mission Circles are Archdiocesan-wide programs that support missions assigned to them by the Archdiocese. St. Elizabeth’s Mission Circle assists KNOM, Radio Mission Alaska, through prayer and financial support. KNOM is an award-winning Catholic radio station operated by the Diocese of Fairbanks. It is tremendously popular among Eskimo and Indian villagers scattered throughout 150,000 square miles of wilderness Alaska. There are too few priests, sisters, brothers, and lay workers to minister across Alaska’s vast distances. KNOM fills in where they cannot travel, beaming inspiration into thousands of very remote homes. KNOM is funded entirely through donations. Mission Circle #7 in our parish raises approximately $2,000.00 each year through bake sales and other fund-raising activities. There are no roads to KNOM. Therefore, the only way to receive supplies and groceries are by plane and barge. Shipments via barge are the most economical, but are only possible in the short summer months. Even so, a simple head of cabbage is as high as eight dollars ($8.00). We encourage you to visit their new website (knom.org). Mission Circle #7 holds a short meeting on the First Friday of every month at 1:30 PM. 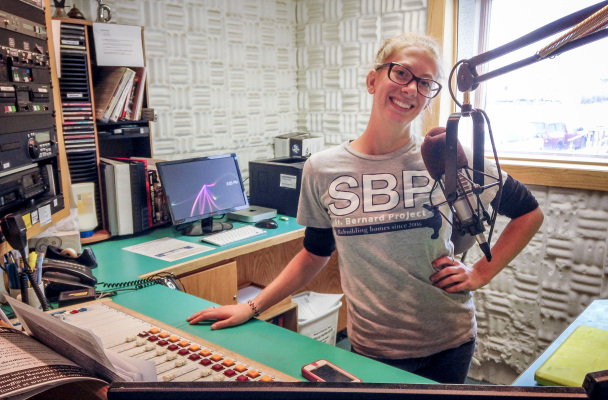 KNOM strives to entertain, to engage, to inspire, and to inform the listeners of western Alaska: from the Yukon Delta to the Bering Strait and throughout the villages and rural stretches of the Alaskan Bush. Through our programming, we endeavor to provide companionship, entertainment, inspiration, and – most crucially – information. We are honored to serve as a vital communications link for an exceptionally isolated and rural area. We do all we can to keep our listeners informed and knowledgeable about what’s happening in their home village, their state, their country, and their world. In this vein, we work hard to keep our news reporting objective, our weather forecasts accurate, and our community announcements comprehensive. We are likewise honored to do our part to celebrate the traditional music and storytelling of Alaska Native peoples, especially those in Western Alaska. 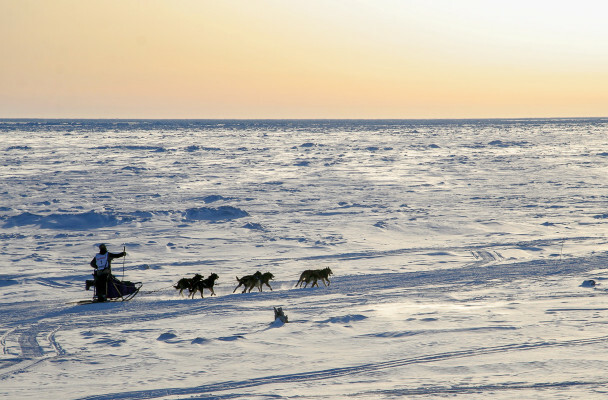 We hope that our programming helps to rekindle passion and pride in the oldest, most deeply rooted cultures of Alaska. KNOM strives to inspire. We are a Catholic radio station – the oldest in the United States – and our heritage is rooted in the Roman Catholic faith; on KNOM, you’ll hear nightly readings of the Rosary and weekly airings of the Catholic Mass. At the same time, we embrace the wide diversity of religious beliefs, spiritual practices, and interfaith perspectives. We acknowledge – and celebrate – that humans find inspiration, wisdom, and God in many different ways. We respect the individual perspectives of each and every one of our listeners, and we never proselytize. KNOM seeks to be a place where conversations can begin, where communities can be strengthened, and where the human spirit can be celebrated. We are KNOM: Yours for Western Alaska. Watch the Video below, prepared by the Catholic Extension! Catholic Extension is a national fundraising organization committed to supporting and strengthening poor mission dioceses across the United States. It provide funding and resources to dioceses and parishes through programs and services investing in people, infrastructure and ministries. Though not directly associated with KNOM Radio, it does support the work of the Diocese of Fairbanks, by meeting the needs of the same people that the station tries to reach.